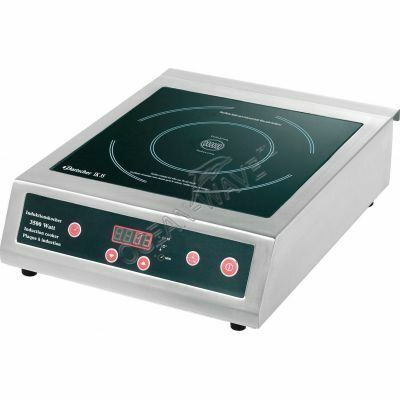 Induction cooker GASTRORAG TZ BT-350A is designed for cooking in neplatnou dishes at public catering and trade. Induction burner only works when it has dishes, thereby saving energy. The model is equipped with a push-button control. It is recommended to use special dishes from a material with appropriate characteristics, which effectively absorbed the energy of the magnetic field.